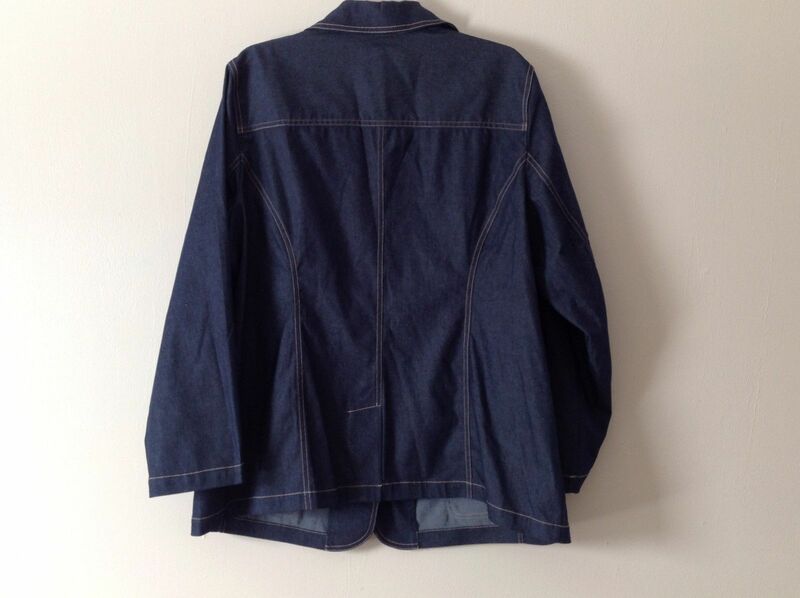 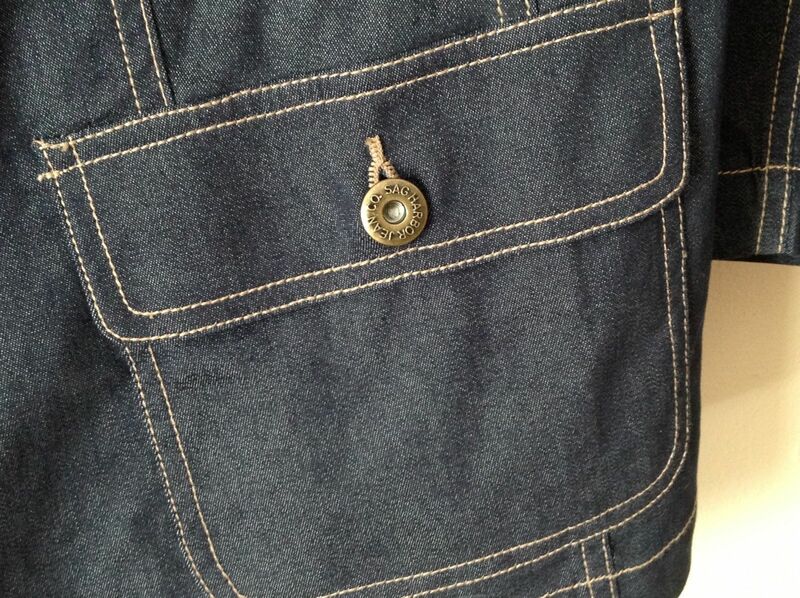 Women's 'Sag Harbor' dark denim blazer/cardigan/light jacket. 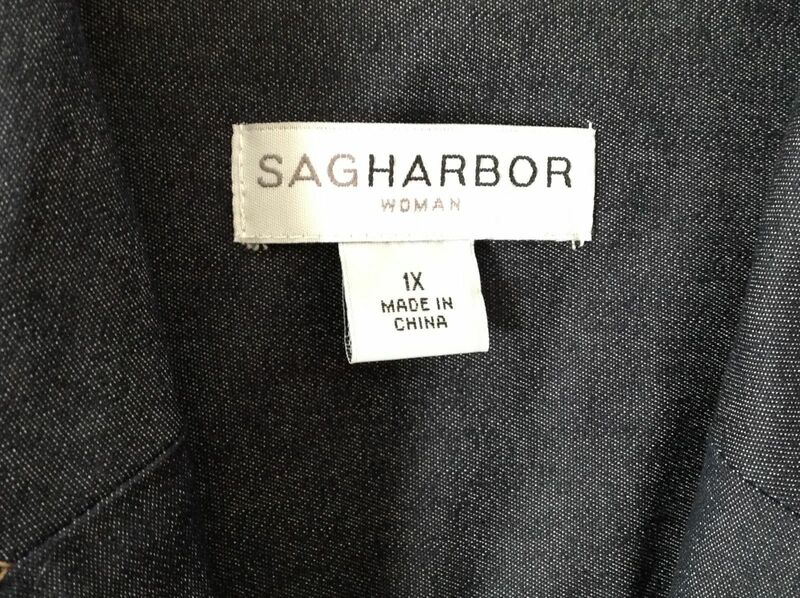 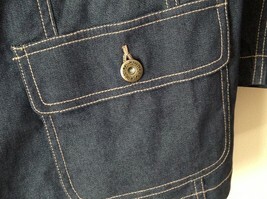 Jacket has three-button font closure and two front pockets. 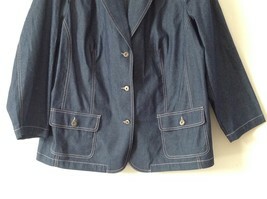 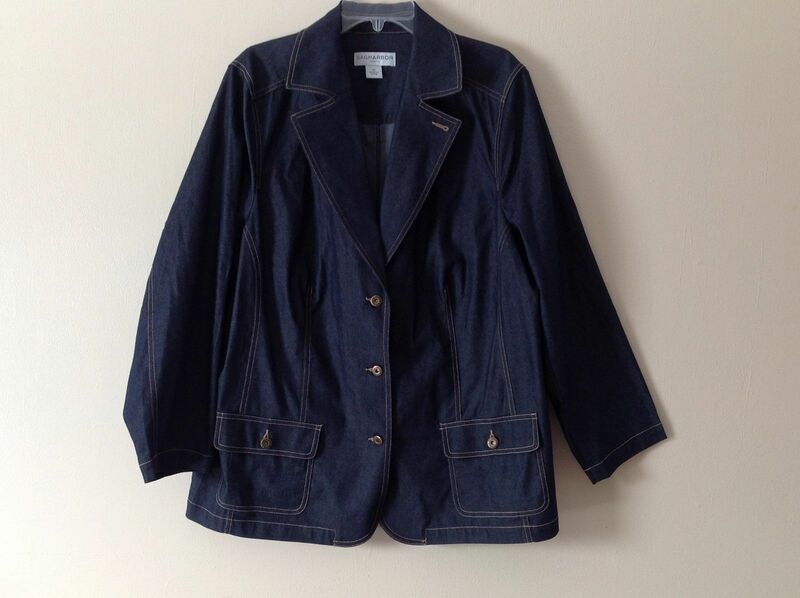 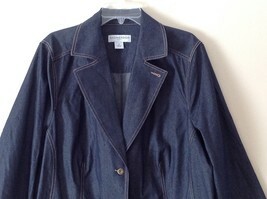 Jacket is excellent condition and is a size 1X. 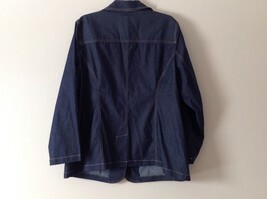 Shoulder seam to end of sleeve: 24.5"